We’ve been travelling the world for over six years now and have learned many tips, tricks and hacks along the way. Naturally, the longer you’re on the road, the more travel tips you come up with. There are many things to think about when planning and packing for a trip abroad, but here are 10 of our favourites. This is the best way to save money on travel. Peak period = high costs. Also known as the high season, this is when destinations become overrun with tourists. Generally, around Christmas / New Year’s Eve and Easter are peak times. When it’s winter in the northern hemisphere you’ll find everyone heading south. Beaches in Asia, the Caribbean, Central and South America become very busy. Summertime in Europe and North America are busy as well. Shoulder season is the time of year just before and just after the high/peak tourism season. Typically, these months are spring and autumn. This is the time of year that is usually considered the rain / hurricane season, wintertime, or when there are no holidays (locally or internationally). When you’re planning your trip, definitely consider the two non-peak times of the year. Why? Because travel during these times is cheaper, quieter and often more enjoyable. You’ll find huge discounts on accommodation, cheaper flights, and food at restaurants can cost less. Example: In Split, Croatia in March, we stayed at a hotel for $38 / night. In the high season (summer months), the same room goes for $167. 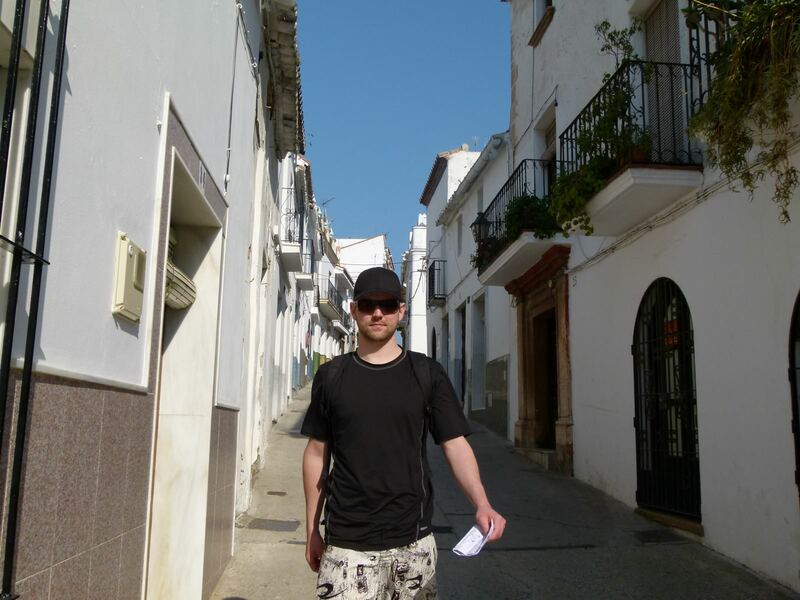 Another huge bonus of the shoulder/off-season is that there are far less tourists around! You may find that you’re one of the only people gazing at the Pyramids of Giza, or having a pristine stretch of beach all to yourself. 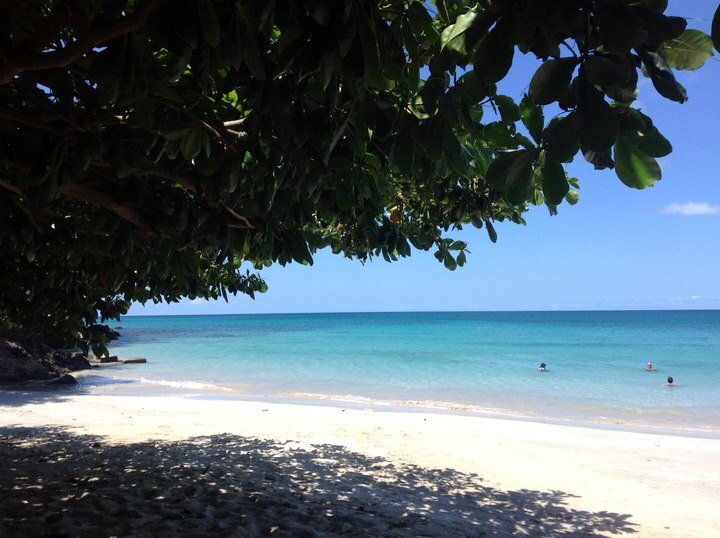 We stay in Grenada (southern Caribbean) during the hurricane season – June to November. We have some rain, but the island is more lush and beautiful than the dry season. There are far more sunny days than rainy ones, and we haven’t encountered a hurricane. There are hardly any tourists around, meaning we have the beaches and beautiful sites to ourselves! With weather being so unpredictable these days, is there really a “best time” to be anywhere? Having a mobile phone with you when travelling is a must. These days, most people bring their smart phones everywhere, and if you’re travelling overseas, make sure to unlock your phone before setting off, or risk paying high roaming fees. You can purchase local SIM cards in destinations around the world, at a very low cost. When you arrive, just buy a SIM and top it up with minutes and data. Italy: $23 for the SIM card, 2 GB of data and 100 minutes of talk time. It expires after 30 days. Montenegro: $7 for the SIM card, including 1 GB of data, 11 cents / minute of talking. It’s $5.50 for 3 GB of data top-up. Mexico: $17 for a SIM card and 3 GB of data. You can learn more about purchasing a SIM in Mexico in the article here. 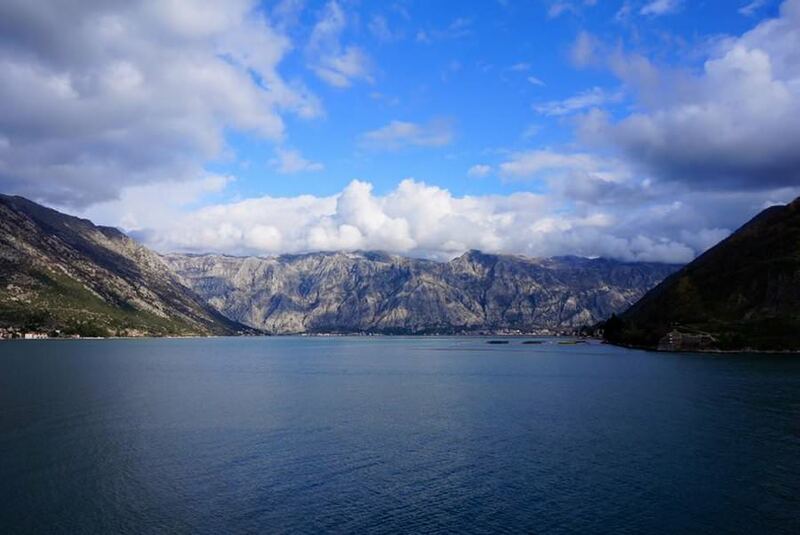 The beautiful scenery in Montenegro. Adding minutes and data to your phones is simple. Typically, you can head into the phone company’s shop (of which there are usually many), or you can top up at grocery stores or convenience shops. Buying local SIM cards as you go is a cheap way to have coverage no matter where in the world you are. Having a phone is important for emergency situations, if you’re lost, or for directions… not just for social media! We travel as a couple and feel very fortunate to have each other as partners in life, business and travel! But, many other people explore the world by themselves – either by choice, or because they haven’t found a good travel companion, yet. We know of many solo travellers, both male and female who absolutely love going at it alone, and we give them props! However, many women are a bit more uncertain of taking on the world themselves, and don’t have any friends at home who are interested in travel. We’ve recently heard of the Tourlina app which is designed for female travellers only. Tourlina is an app that puts women in touch with women, and helps them find the perfect travel companion for a day, a week, or longer. You’re able to chat to verified users, discuss your travel interests and arrange to meet up. 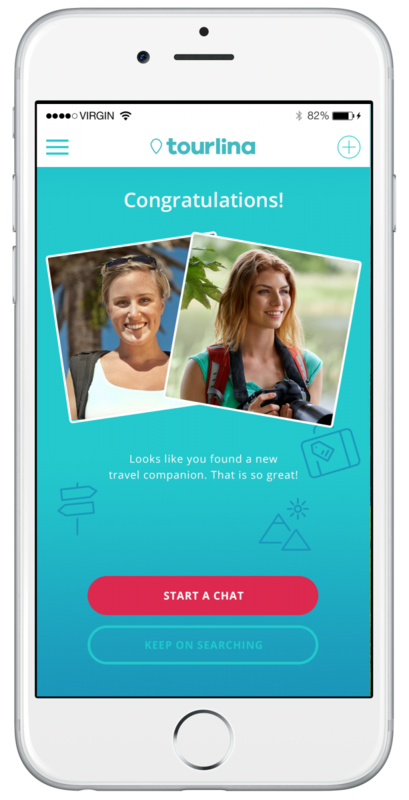 We think this is a great idea, as some of the other sites and apps out there that connect travellers aren’t gender specific…and women often end up being propositioned, rather than just finding a travel buddy! We travel with backpacks, so we’ll focus on that type of luggage here. Your backpack will be your best friend while on the road, so you’ll want to make sure it fits you properly. There’s nothing worse than lugging around a backpack that isn’t sitting correctly on your hips, is too high up on your back, or is too heavy. Try to choose a backpack that doesn’t have metal support bars, as that only adds unnecessary weight. 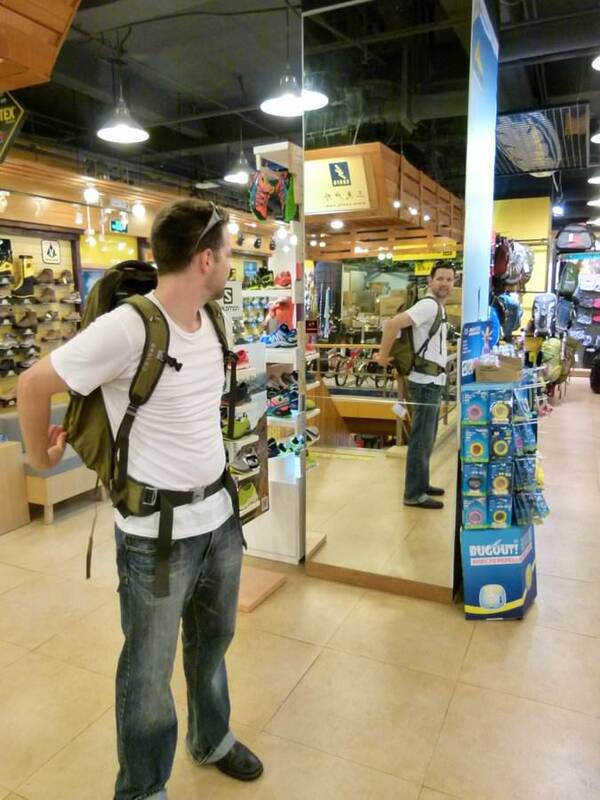 Go down to your local outdoor store and try on many different backpacks until you find the one that fits your body perfectly. When we were testing out packs in the stores, we even went so far as to bring some of our gear with us to stuff the bags full, and try them out before purchasing them! 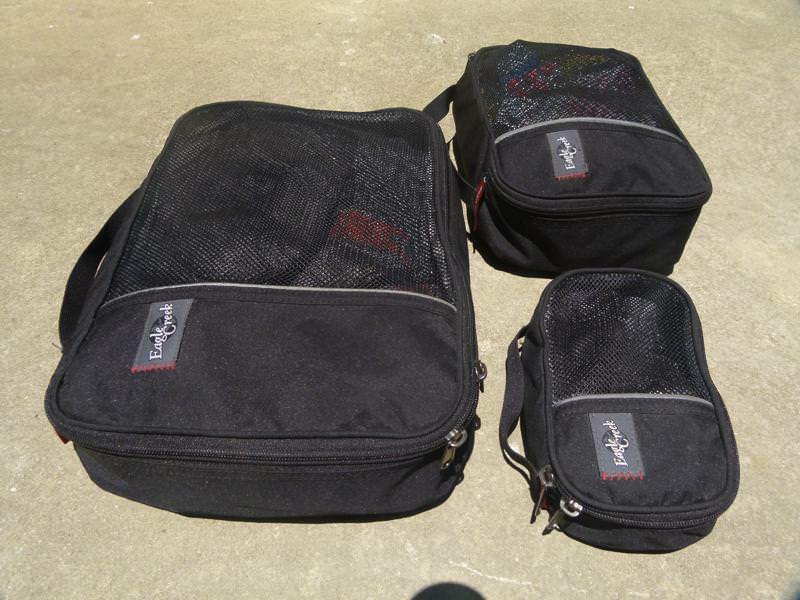 There are a few styles of backpacks out there, but we recommend and use front panel loading / clamshell style packs. Being able to fully open your backpack is something you will want, trust us. There’s nothing worse than having a top-loader backpack and not being able to see anything that’s in the middle or the bottom. You’ll have to dig through all of the unwanted items just to get at what it is you really need. If you go for a front panel loading or clamshell style of bag, you’ll be able to fully zip it open and see everything that’s inside. With the evolution in backpack design these days, many of the front panel loading bags have great support and can be taken on long treks. We’ve had a few different packs over the years. At first we went with MEC brand and Deuter – 60L and 70L. 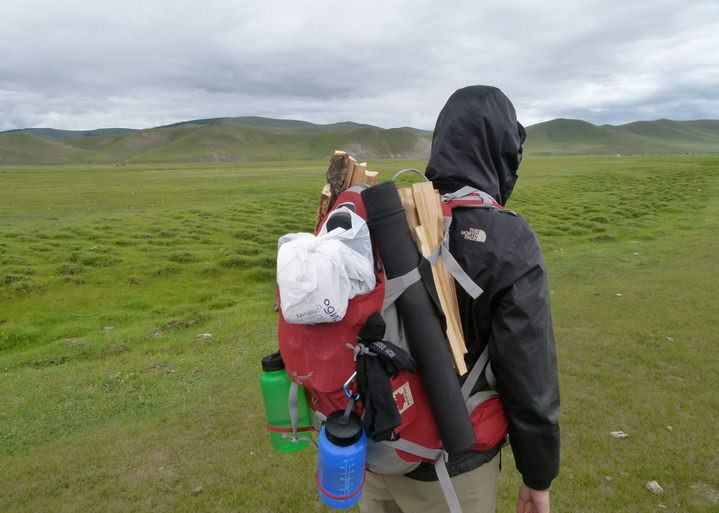 We then switched to ultra lightweight travel for our treks in Central Asia. I carried the Osprey Kestrel 32, and Nick had the Osprey Farpoint 55. We both currently travel with the Osprey Farpoint 55L backpacks and love them! The point is, find a pack that you love, as it will be your life while you’re travelling. Depending on where in the world you are travelling, we suggest packing along your own mosquito net. If you’re travelling to Europe or North America, this won’t be necessary, but if you’re going to Africa or Asia or even the Southern Americas, you may want to consider bringing your own net. Many hotels/hostels/guesthouses don’t provide nets and if they do, they’re often too small for the bed (meaning your head and feet will be touching the net all night), or they have holes in them. With diseases like malaria and dengue fever, you’ll want to make sure you’re protected at night. Apart from mosquito bites, a net will help keep out other creepy crawlies that you won’t want in your bed! 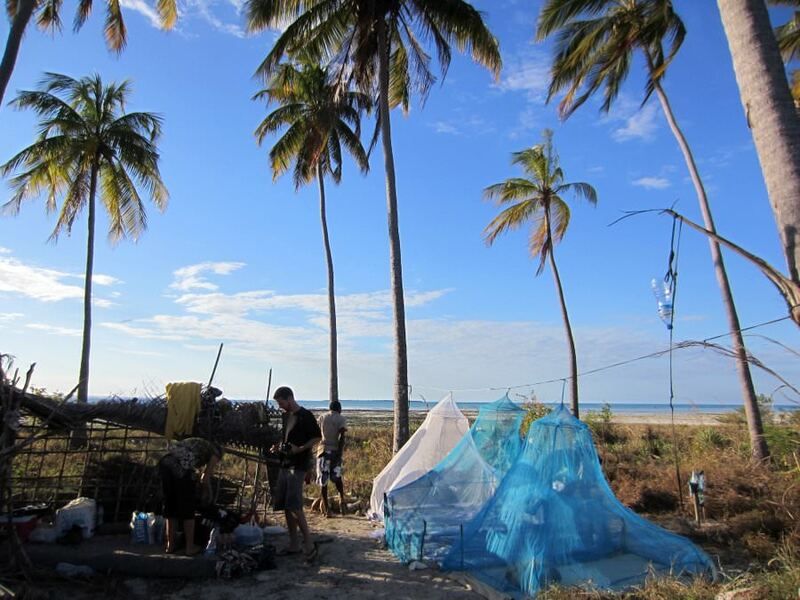 However, the main reason we recommend bringing your own net for tropical trips is for overnight beach excursions! This may not be for everyone, but it makes for a great adventure. 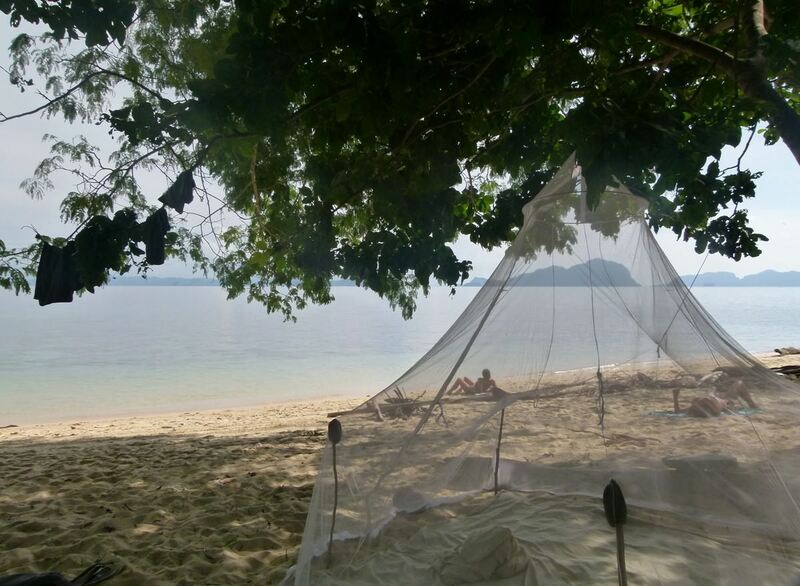 All you have to do is hang your net from a tree and you can sleep on the beach without worrying about bugs. The breeze is pretty great too. Definitely opt for a king-sized net and one with a zipper opening, rather than a fold-over closure. You can fix broken shoes, sandals and straps on your backpack. Use the tape to patch up holes in your backpack, mosquito net, or the screen window of your hotel to prevent mosquitoes from getting in. Duct tape is waterproof which makes it useful for plugging up the sink in your hotel to do laundry or for fixing a rip in your waterproof rain gear. Not only is duct tape useful for breaks or for waterproofing, but it can come in handy if you’re in a medical pinch. You can tape broken toes and fingers together. After thoroughly cleaning a wound, cover it with tape so it doesn’t get infected until you can get to a doctor. If you have a nasty blister, put a cotton ball on the sore and tape it to your heel or foot using duct tape. For packing the tape, we suggest taking a ballpoint pen and wrapping the tape around it. This will save you space and weight in your backpack. Duct tape is a lifesaver! No matter which part of the world you will be travelling to, it’s important to have at least a few items in your bag that can be washed and dried, quickly. If you’re out trekking, hiking, camping or just haven’t done laundry in a couple of weeks, you’ll want to be able to hand wash your clothes and wear them asap! For men, underwear, socks and a couple of fast drying t-shirts would be a good idea. For women, socks and a couple of fast drying t-shirts is all you need. For both men and women, we highly recommend bringing along a quick-dry, microbial, travel towel. The MSR Personal Packtowel. They’re soft, roll up small and you can wring them out to be almost completely dry. T-shirts. Check out this Mountain Hardwear T-Shirt for men. For men, ExOfficio makes good quality boxer-briefs. Click here to have a look. For women’s T-Shirts. Quechua, Marmot, Columbia and the North Face are good brands. Click here to see a Marmot t-shirt. You’ll also want some fast-drying socks, for sure! This is probably the biggest tip / hack that we have for you. When you search for a flight online, that website uses “cookies” to remember your search. So, if you’ve searched for a flight from New York to Thailand, but decided not to book it right then and there, the next time you open up your browser, it will remember your search for you. This may sound like a good thing (and it should be), but it’s not. Because the site knows you’ve been there before, it knows that you probably want to book the flight, so it raises the prices of the flights the second (or third) time that you visit the site! 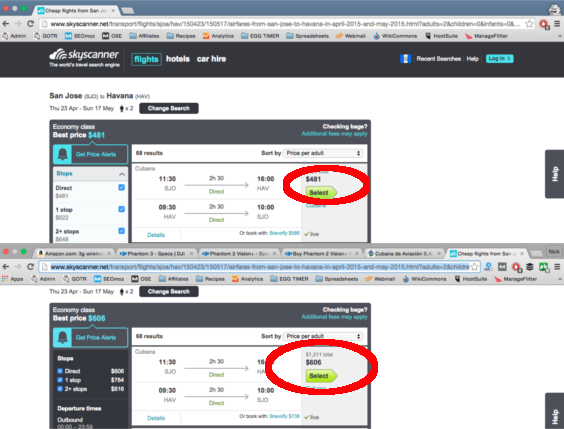 It’s sort of hard to see on this photo, but this is a flight that we booked from Costa Rica to Cuba. The first time we looked, it was $481. The next time we went back to book, it was $606! To avoid this issue and to get the same price as the first time that you checked the flight, go incognito before booking (command + shift +n for Mac, and Ctrl + shift + n for PC), or clear your cache. After you’ve laid out all of your clothes, travel gear, electronics, toiletries and other odds & ends, you’ll probably start to wonder how you’re going to fit everything into your backpack! For us, the most essential items to have when travelling are mesh packing cubes. You just roll your clothing (each individual piece), put the items inside and then zip these cubes shut. The cubes help to condense down all of your items, making it easier for you to put more clothes, or other things, into such a small space. These cubes are also great just for keeping things organized. You can have all of your t-shirts and other tops in one, while using another for your pants, shorts and other bottoms. The bigger ones are great for larger sized clothing (jackets, fleece tops, etc. ), while the smaller ones are great for underwear and socks. It’s amazing how something so simple can be so genius. We use and recommend Eagle Creek Pack-It Cubes, and have had the same ones since 2011! The world of travel is changing. These days, rather than arrive and look around for a room to rent, backpackers and travellers are opting to secure their rooms in advance, online. This way, you can see reviews from others and know that you will have a place to stay for the night. 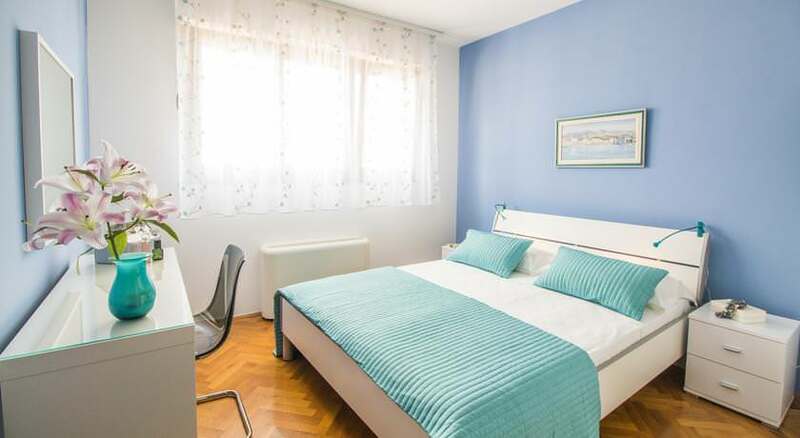 We’ve found some amazing deals on Booking.com, as they often show huge discounts the closer you get to the date you want to stay. You can find apartments for $15 / night, luxury hotel rooms for $37 / night and discounts on longer stays. Other popular booking engines are HostelWorld.com for hostels around the world and Agoda.com for hotels primarily in Asia. Many people make the mistake of thinking that because they’re travelling to a new country, they need to pack anything and everything that they may need. Unless you’re travelling to somewhere in rural Africa, any items you need while away should be available for purchase in-country. In many cases, it’s even easier to get medications and other pharmaceuticals on the road than in your home country – you can buy many drugs and pills over the counter, rather than needing a prescription. If you’re unsure as to whether or not you’ll need to bring warmer clothing for your trip, and you don’t have room in your bag for a coat, mitts, or a hat, just purchase it when / if you need it on the road. Take half of what you think you’ll need, and twice the money! Problem with duct tape – I was travelling carry on through Africa and i got my duct tape confiscated at the airport in Madagascar because apparently its a dangerous object?? I was super sad! These are all amazing tips! Before I buy tickets for my next trip, I’m clearing my cache for sure! Thanks. Yes! Please do 😉 It’ll save you some money most of the time! 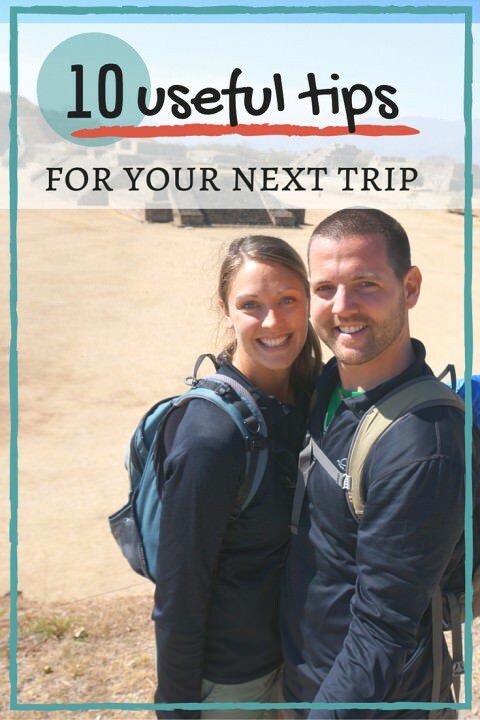 My husband and I have been using them for long term and short term travel for years! They are great, especially because they add no weight and take up no space in your bag, which is especially useful as they may be more or less full as you go! Another perk to travel cubes is if you DO opt for a top loading backpack, you can easily access your belongings! The cubes come indifferent colors and sizes so you can color/size code for easier organization. Great post , I cleared my browser as I am about to book a hotel. Do you travel around with a tent and sleeping bag? When we’ll be doing some camping, then yes we do. We had sleeping bags when we were in Nepal and kept them afterwards for the rest of our travels. For the 5 months that we travelled through Central Asia and Iran, we had sleeping bags, a tent and portable cooking gear / stove. At the moment, we don’t have our tent.